When you’re picking an SEO company or agency, you’ve got to make sure you’re choosing the best one for you. There are plenty of agencies out there to choose from, so how could you possibly know which one is perfect for your company? Well, there are some top qualities you should be looking out for when you’re shopping around on Google. You want to make sure that the SEO agency you’re viewing meets all of these qualifications before you sign on the dotted line. No matter whether which company are you going for, check off these boxes before you make a final decision. First and foremost, a great SEO agency has to have prior experience in the field. Sure, it’s nice to go with the underdog who hasn’t had a lot of customers before, but wouldn’t you rather go for the company that has years of experience and positive feedback? Plus, they’ve got to be professional. No one wants to work with a company that doesn’t put professionalism first and doesn’t take your seriously. Of course, one of the top qualities to look out for is that they have a solid reputation among their customers. Does some in-depth research into this company to see what other people are saying about them? And don’t just take the reviews they add to their site – these often leave out the negative reviews in light of only the positive ones. Be sure to get a good idea of how they’ve treated customers in the past and what their success rate has been like. In the course of utilizing a SEO company, they’re probably going to have access to some top-level information about your own company. And when working with a technician or agency of any kind, it’s crucial that they have a high level of integrity about them. You wouldn’t want them going off with that important information without your permission. Use customer reviews to determine whether any cases like that have happened with the company in question. Don’t just take the agency’s word for it! 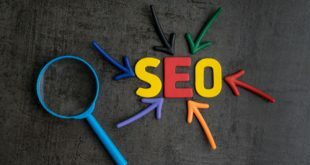 The marketing world is changing at an ever-quickening pace and that means that any SEO agency that you hire needs to be efficient in their work. 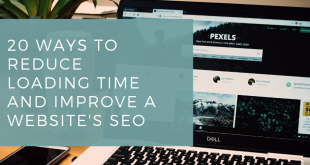 If you’re waiting for weeks and weeks for the work to come through, you’re running the risk that you’re missing out on some of the new advances and trends in marketing and SEO. 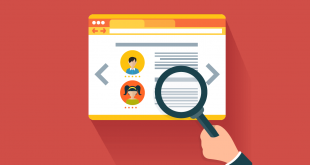 Ensure that the customer reviews of the agency being the primary target, speak highly of their efficiency so that you get the most out of their services available including the promotional strategy techniques. Speaking of services, you should put the cost-effectiveness of this SEO agency’s services at the top of your list. You should take a hard look at how much they’re going to charge you and what you’re getting from their services. You’ll need to determine whether their services are actually worth the money they’re charging or if it would be more cost-effective just to do the work yourself. Sometimes SEO agencies will charge much more than the going rate for their services. However, one of the best ways to go around that is to simply compare and contrast the price levels of a number of companies to see what the average charge is for specific services. Then you will be able to choose which company has the best prices. Choosing an SEO agency shouldn’t be a decision that you make at the flip of a coin. There should be quite a lot of thought going into a decision like this, especially when your company’s hard-earned money is at stake. Previous Looking to resell your old iPhone?